Bradley Smith believes he could remain in the KTM MotoGP fold by landing one of Tech3 satellite seats for 2019. 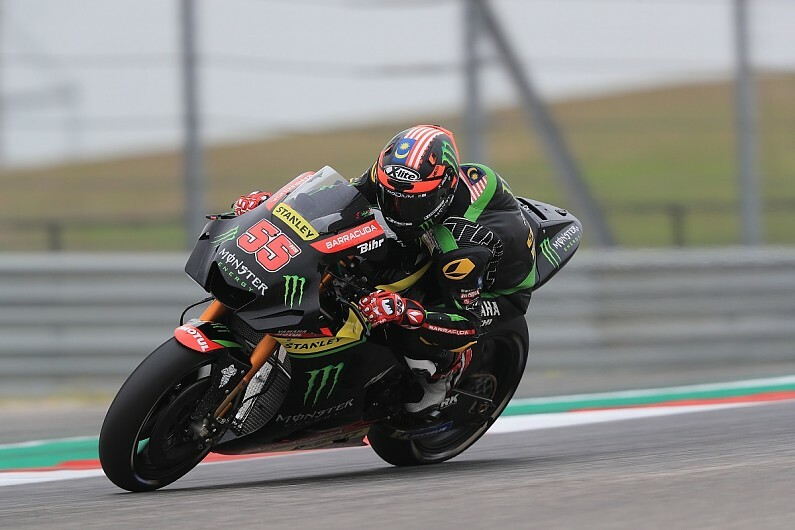 It was confirmed this week that Smith had lost his KTM factory seat, with team-mate Pol Espargaro signing a contract extension and Johann Zarco's move from Tech3 being made official. With Tech3 switching to KTM from Yamaha for next year, Smith hopes that will help him find a ride for 2019. "The nice thing about it all, and KTM will tell you as well, that this announcement doesn't mean that I'm out of the group," Smith said. "It just means that I'm out of the factory team. "They've still got two bikes available on the grid - they would like to put me on one of them, and they can sit and wait and decide what they want to do, when they want to do that, and if my results warrant that. "But right now that's the main focus for us as a group, and that option's available to me." Tech3 boss Herve Poncharal said he is not aware of KTM's plans for its satellite line-up, but he hinted the team is likely to run KTM Moto2 racer Miguel Oliveira alongside Zarco's current team-mate Hafizh Syahrin. "Concerning Bradley I haven't heard anything," Poncharal told MotoGP.com. "He hasn't talked to me yet, I don't what KTM's plan is, I don't know his plans. "He is a very good development rider but clearly I don't think Bradley is a junior rider, he is an experienced rider with a lot of feedback knowledge of the bike, so I don't know. "Nothing is done, there are a lot of possibilities, but Syahrin, Oliveira is a strong possibility. "I am very happy with Hafizh Syahrin. We were in a difficult situation when Jonas Folger decided not to race and finally we find an incredible, exciting solution. "The position of our team is clear, and this is what we discussed and planned and this is also the will of KTM, we are the junior team. "KTM made it public they have offered Miguel Oliveira the possibility to step up to MotoGP class with Tech3 and full factory support from KTM." Smith said he is willing to go back to a satellite team after two years as a factory rider as he has to "keep all options open". "My manager's here again this weekend and of course we'll be speaking to everybody," he said. "He knows where I want to be, where I want to ride, and he knows where my priority is, but obviously he wouldn't be doing his job as a manager if he didn't explore all options. "My priority is wherever I feel that I'm going to be racing my best and enjoying myself, which is the most important thing."